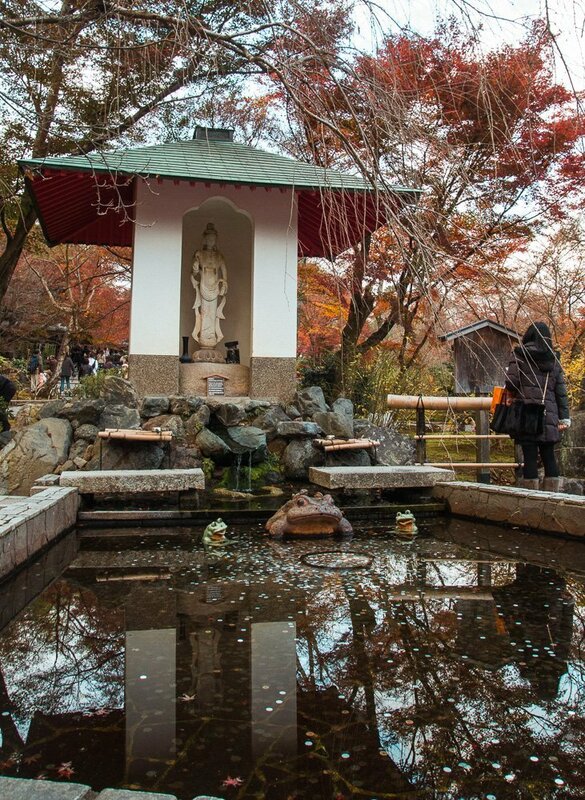 Kyoto provides a nice alternative to the buzzing city life in other major cities such as Tokyo and Osaka. 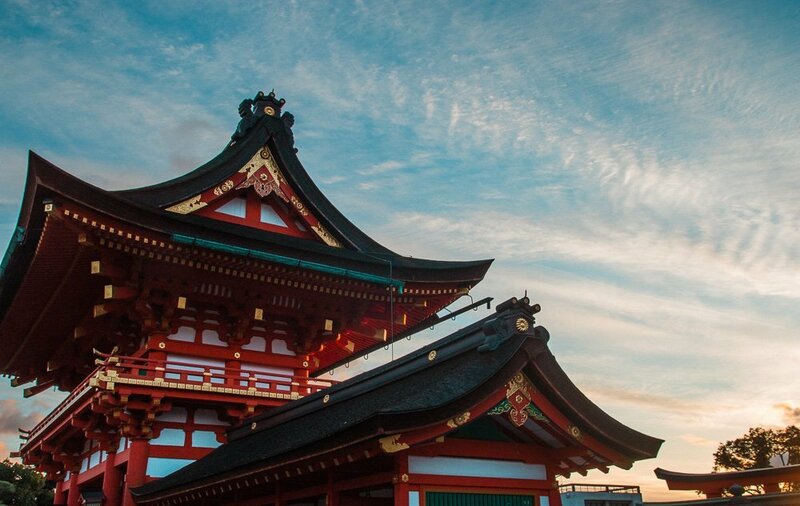 With its rich heritage, majestic temples and sublime gardens, there’s just so much to take in within a day in this cultural capital of Japan. 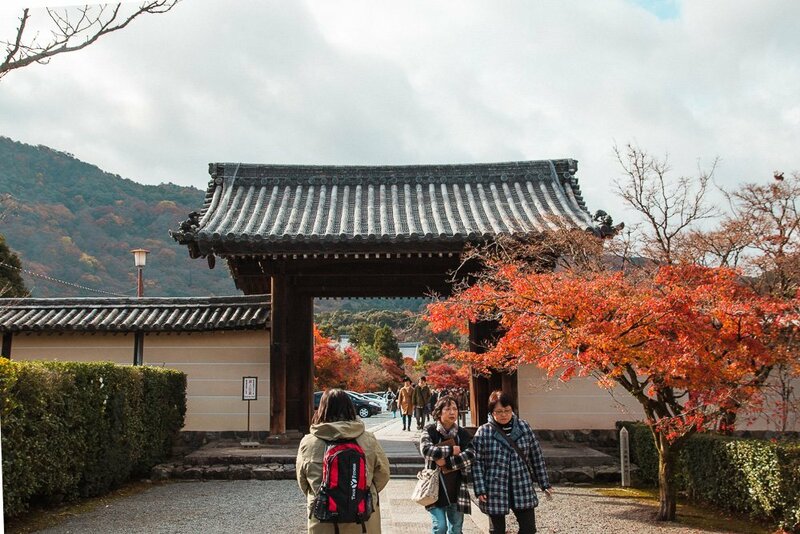 Read on to find out more on our pared-down itinerary which took us around Kyoto in a day trip of less than 12 hours. We set off to Kyoto from Osaka via the bullet train then transferred to the Sagano line to Saga Arashiyama station. 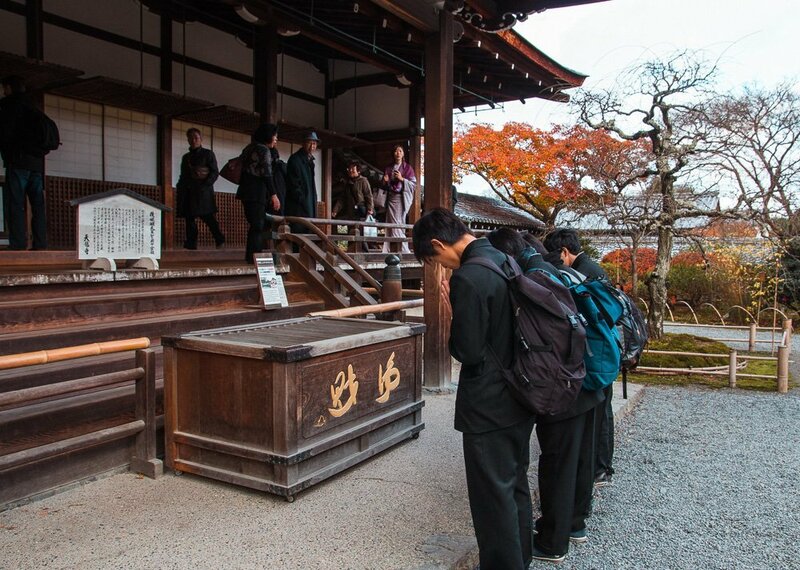 It took another 15 minutes on foot to our first destination – Tenryu-ji (天龍寺). 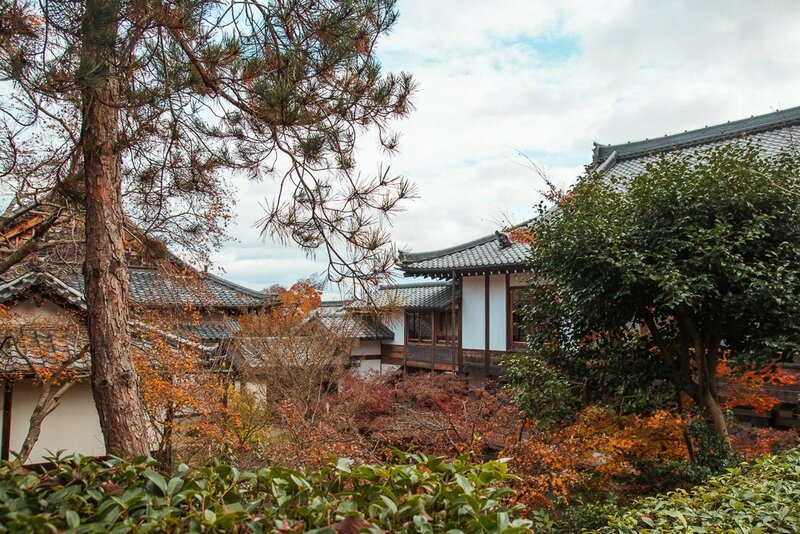 Registered as a UNESCO World Heritage Site, Tenryu-ji is a very peaceful and sprawling site and its garden, Sogenchi Teien, exemplifies the idea of borrowed scenery. We visited in autumn and the landscape was adorned with muted greens and splashes of red, brown and gold. The colours complemented the rustic wooden textures of the traditional architecture, and everyone was just quietly strolling around the premise. 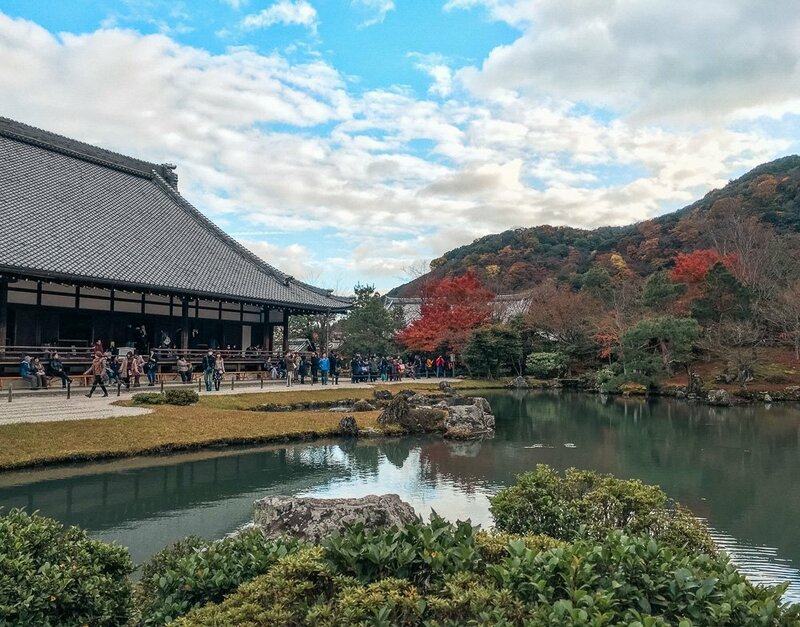 The Sogenchi Teien, centred around the Sogenchi pond, is a breathtaking sight, especially with magnificent Arashiyama mountain in the background. We exited Tenryu-ji from the north gate and walked less than 5 minutes to the bamboo grove. 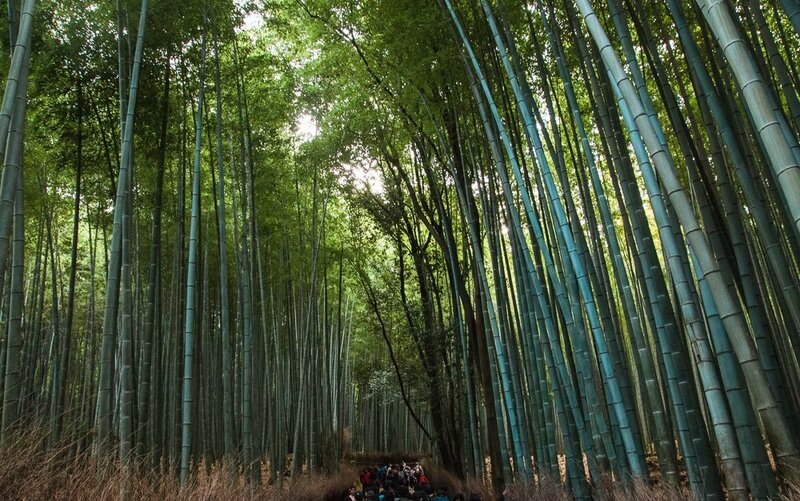 Unsurprisingly, the bamboo forest was teeming with tourists and visitors. But beneath the dwarfing bamboo trees, the dimmed path was filled with a palpable sense of peace. If given the luxury of time (and space), we would probably spend more time at this place. Leaving the bamboo grove, we took our time around the vicinity (or rather, we lost our way while trying to head back to the station). Time seemed to have stalled in Kyoto from the buildings to the streets yet we were very much aware how much the city has progressed. 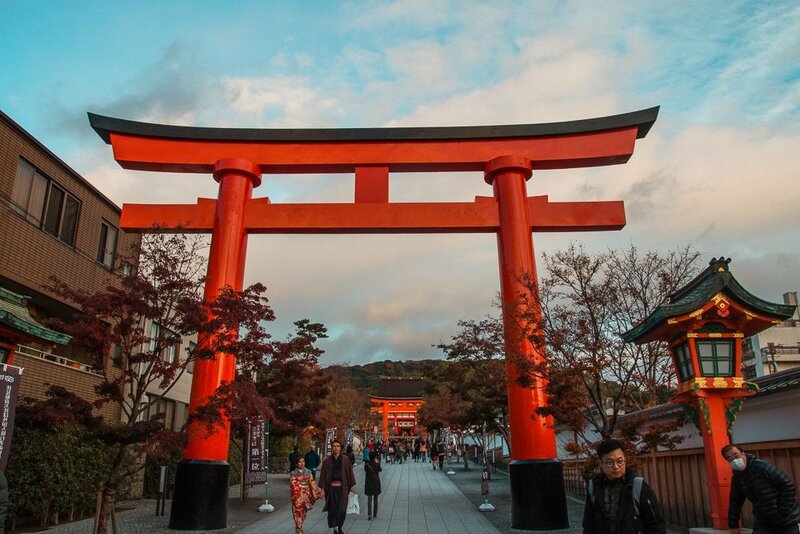 From Saga Arashiyama station, we returned to Kyoto station and took the Nara line to Inari station. 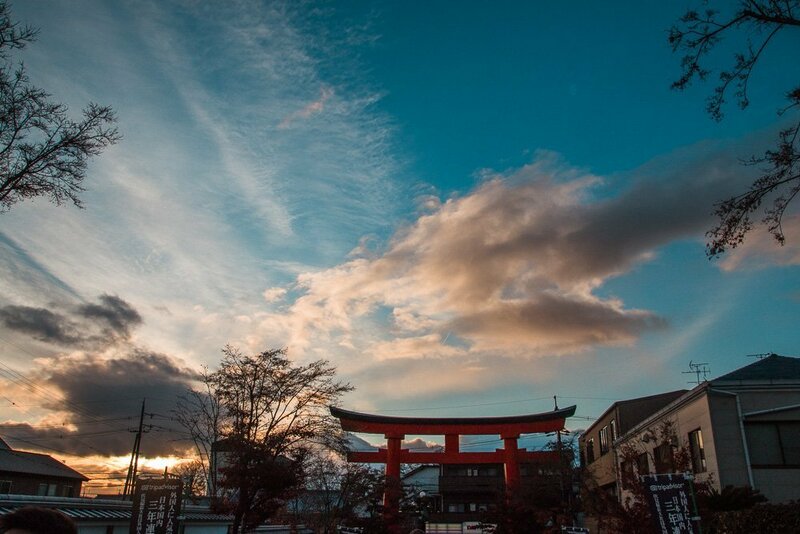 The shrine was a mere 5 minutes walk from the station and we were lucky to arrive in the golden hour. 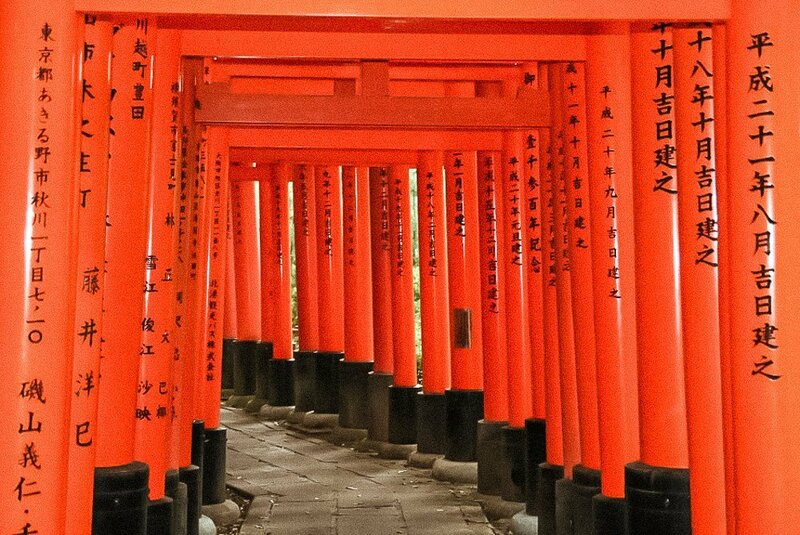 Unlike Tenryu-ji which was subdued and serene, Fushimi Inari shrine was majestic with its red pillars and beams lit in the sunset glow. 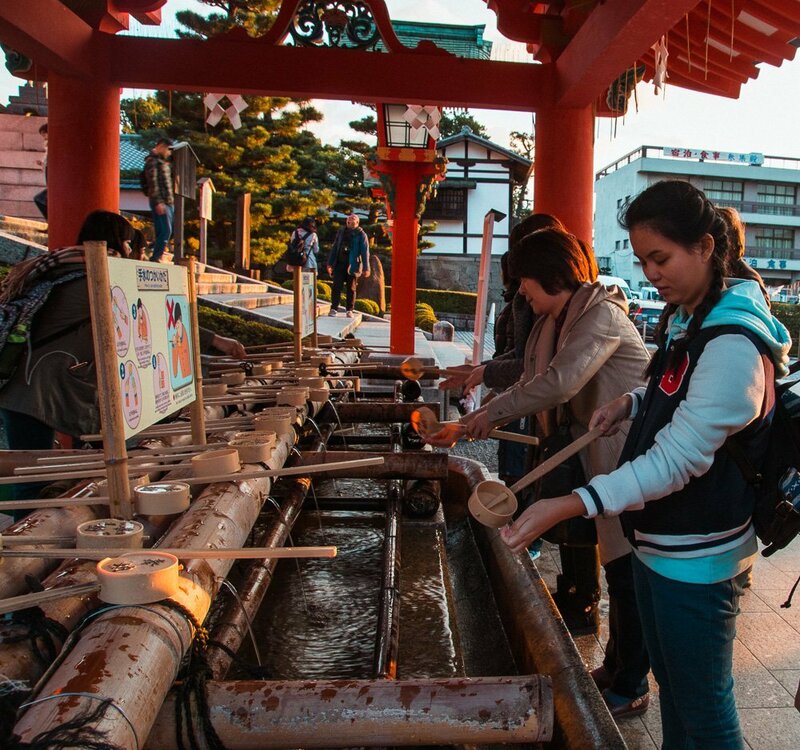 I know many people find Fushimi Inari Taisha an overrated destination but I implore you to visit during sunset – its magnificence is awe-inspiring. 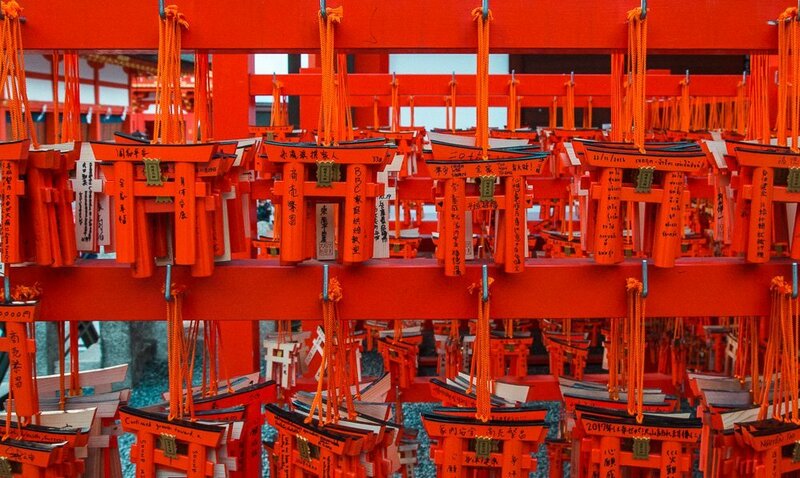 Don’t leave without passing through the Senbon torii – the rows and rows of closely-spaced torii gates lined up in a path. 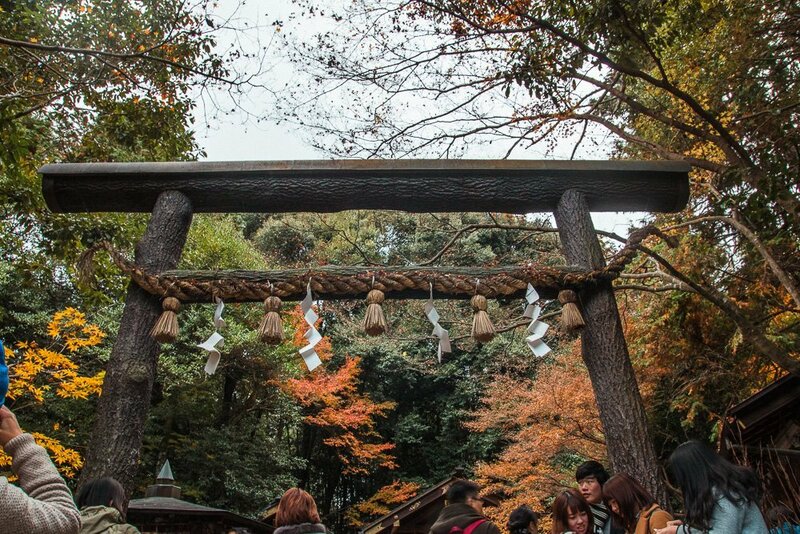 The custom is that one will dedicate a torii gate when making a wish or giving thanks for a wish come true. 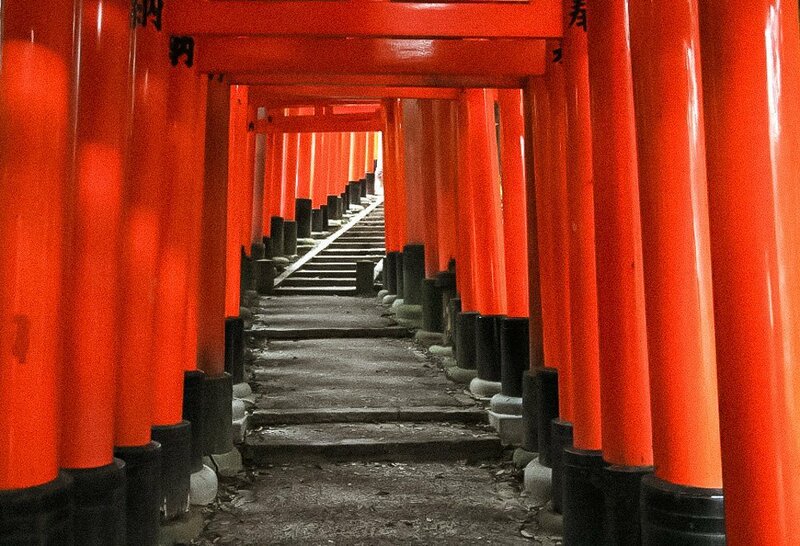 It is said that there are about 10,000 torii in the premise. By the time we left the shrine, the skies were already dark and our tummies growling. Dinner was settled at Kendonya – another awesome recommendation from Picrumb. 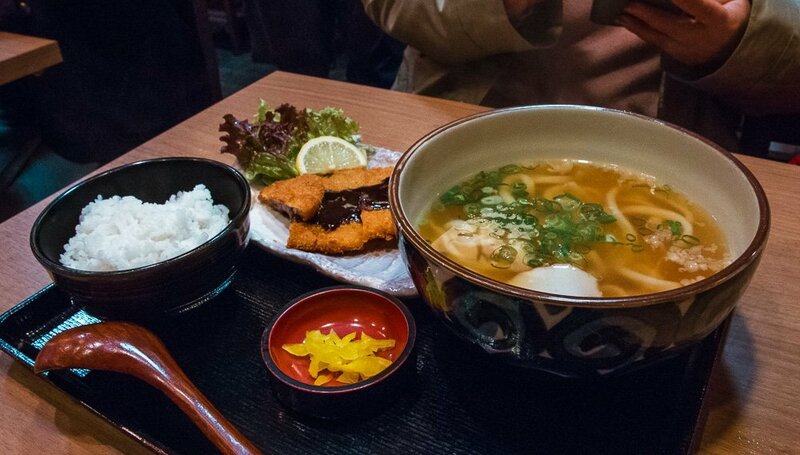 We ordered a set which came with a nicely-fried cutlet, a bowl of fragrant pearl rice and homemade udon. Amidst locals, we dug into the food and enjoyed the hearty meal. 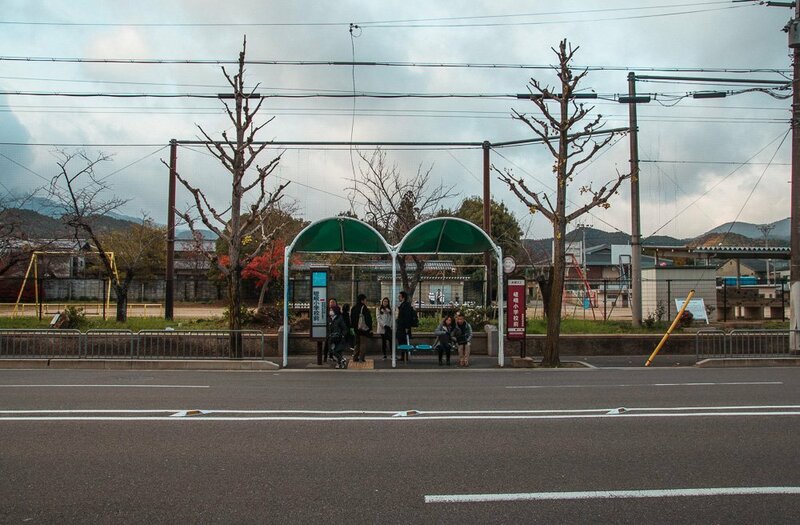 Across the road from the restaurant was the Fushimi Imari station. As Gion was only a couple of stops away, I suggested an impromptu visit to Gion. Nightfall had fully came and it was dark and cold. Nevertheless, we managed to manoeuvre to Shimbashi-dori and caught sight of the billowing willow trees flanking the canal. Opposite were tea houses which looked inaccessible to the mere commoners. 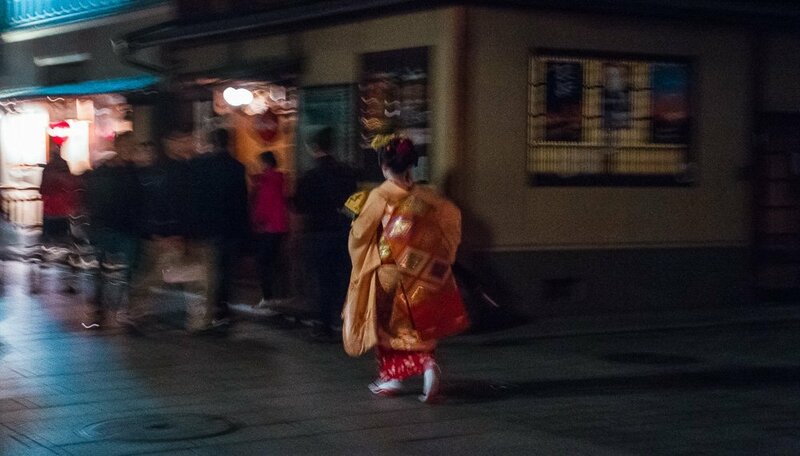 In the cold, we also caught a passing geisha (I can’t verify this) who was hounded with an in-the-face camera by a nearby tourist. Please don’t be like this tourist. 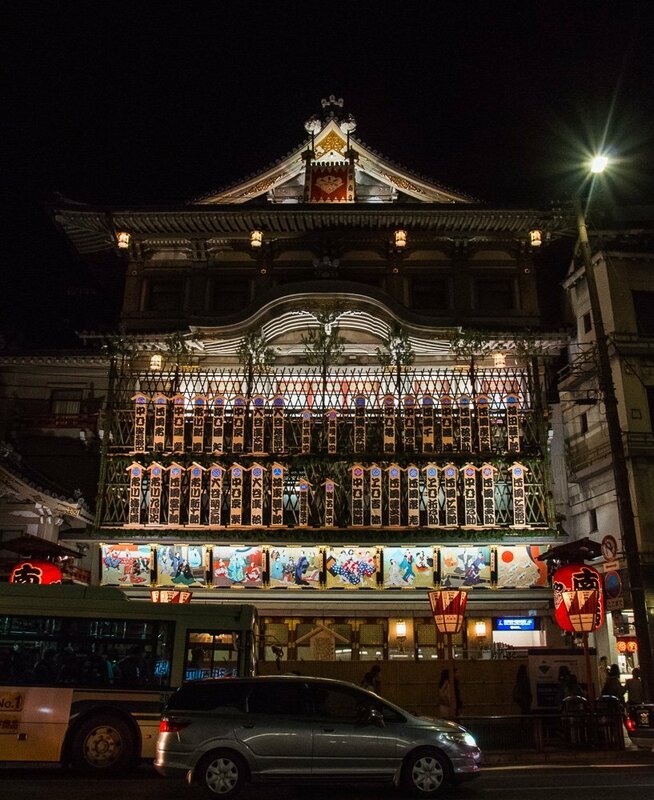 We ended the sight-seeing with this shot of the resplendent Minamiza Kabuki Theater. Thereafter, we sought refuge in Starbucks for warm drinks before our return journey to Osaka. 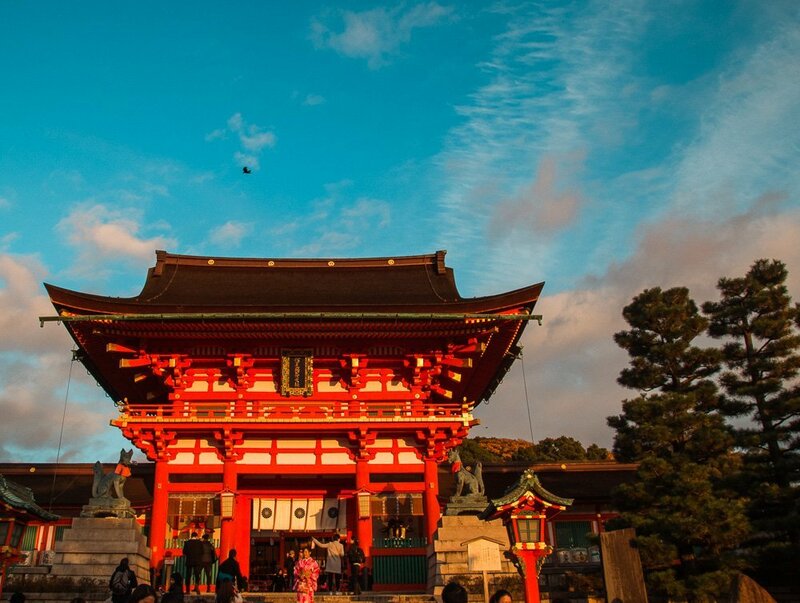 Save another day or two in Kyoto to visit Kiyomizu-dera and Kinkakuji. 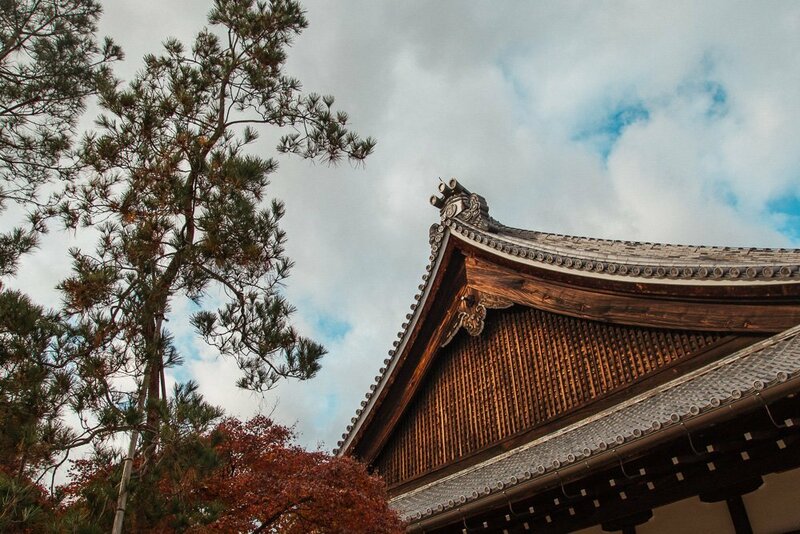 A day trip to Kyoto is not enough! Such an amazing place Kyoto. And your pictures are making these places even more beautiful. I want to visit this place once in my life. Thank you! Yes, I highly recommend visit at least once in your life! Love your photos!! Looks like you really fit a lot in to your time there. 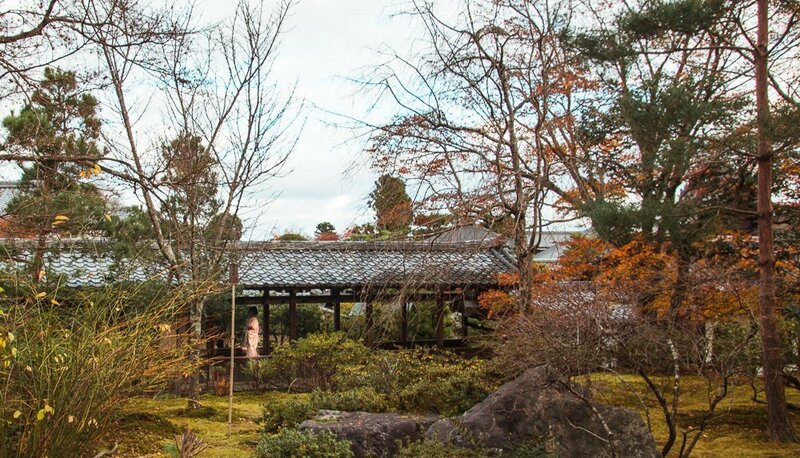 I think the UNESCO gardens would be my fav! Thank you! The gardens are sublime! 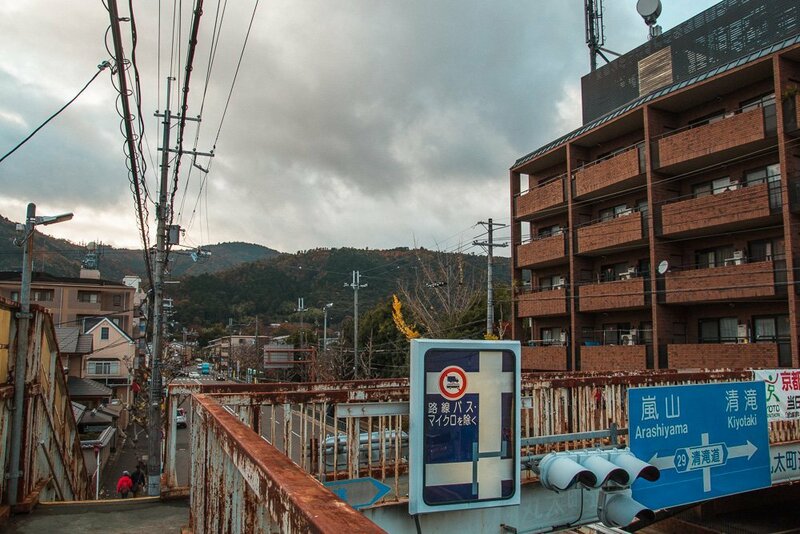 I’ve never been to the mainland Japan but with your photos it makes me really want to go! 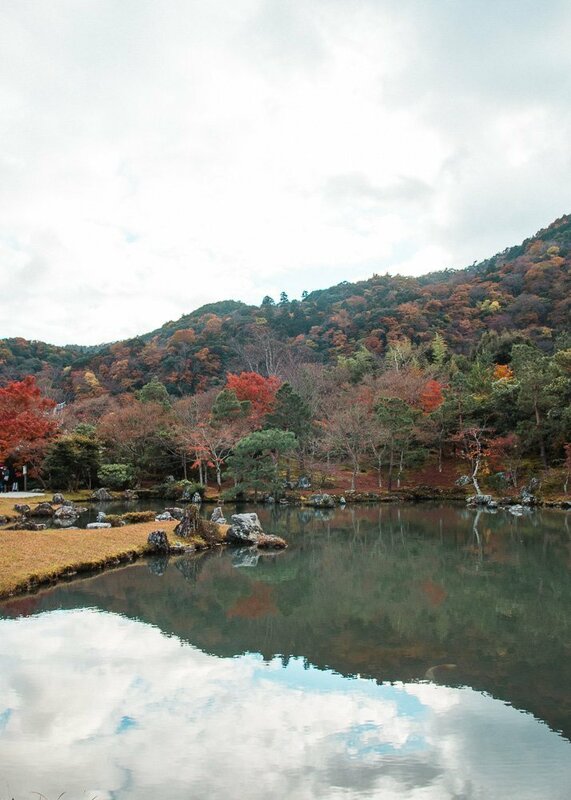 Kyoto looks SOOO stunning!! The last time I was in Japan, I only had the chance to visit Tokyo! But next time, I’m definitely hitting up Kyoto!! I’m headed to Japan tomorrow, perfect timing to find this guide! The temples look beautiful.